Cartridge filters are modular filters that help to remove particles or chemicals from the liquid. It is made up of different materials depending upon the type of filtration processing needed. For anybody who has seen old time’s water filters will know that the cartridge filter is a cylindrical housing. It handles the pressure of the liquid to be filtered. They are available in standard lengths and diameters. It is done so that it can fit in seamlessly for any standard housing. Usually the setup is such that one cartridge filter is set with one housing. It aids in the continuity of liquid flow to follow easily. This means if there is a duplex system, there will be a need to place two cartridge filters in a parallel way. By doing such a set-up it helps in one unit to use while the other stands as in off-line mode and gets cleaned. So likewise when there is a switchover of one unit with the task, the other offline mode starts the filtration process. Cartridge filters that do not use porous but can become porous if the need be. – Here with the kind of porosity and use of components such as rings, or discs or ribbons, the functioning takes place accordingly. Under the section of the replaceable element filter, the names of capsule filters emerge that is used largely in laboratories and small-scale production processes. You can see them in use in pharmaceutical and life science occupations. The other name that emerges under the section of replaceable element filter is polymer melt filters. It ensures there are no blockage or extrusion nozzles towards any polymer fibers or filaments. Why Do You Require Cartridge Filters After All? The main use of cartridge filters is for cleaning the liquid/fluid from any contamination. To be precise contaminants levels weighing less than 0.01% are removed easily with such filters. It is amazing to know that there are few baghouses for solids recovery from gases who use such cartridge filters as their source for filter elements. The working style of cartridges is done through surface or depth filtration. It depends primarily upon cartridge elements for dust collection. The grading system of surface filters is done as per the absolute rating. Depth filters are as per the level of filtration efficiency. However, to date, there is no determining factor for removal ratings of cartridge filters in fluid service. People talk about nominal filtration. What exactly is nominal filtration? It is nothing but percentage terms that varies between 80 to 90% for some stated particle size is ok. But when it comes to absolute rating it should be between 98 to 99.99% efficient enough. 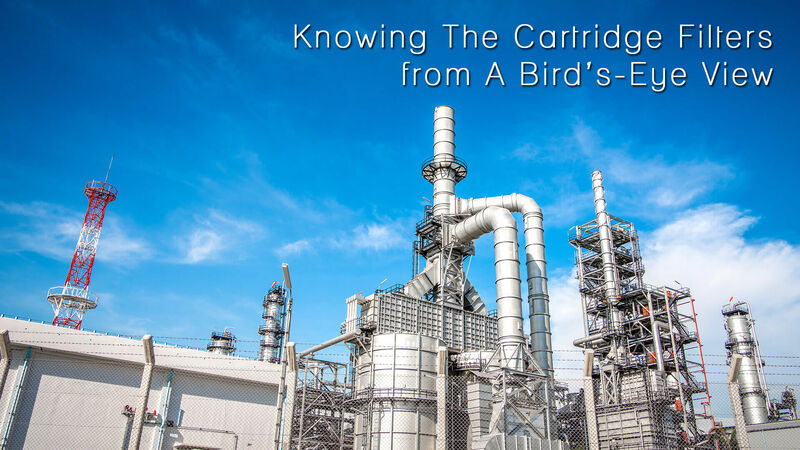 There is more to learn about in the world of cartridge filters. Keep looking in for this space for more details.